When you gaze up at the night sky, can you see the Milky Way? Preserving and protecting natural resources is one of the main missions of Utah State Parks. While not often considered, natural dark skies are one of those valuable resources. Although light pollution has an impact on natural darkness, it is immediately reversible. By taking a few simple steps, we can help to preserve dark skies and breathtaking view of millions of stars now and for the future. People often travel great distances to see a starry night sky. 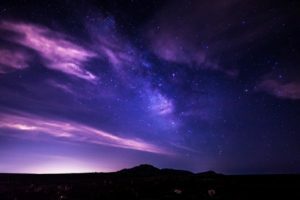 However, because of Antelope Island’s location within the vast Great Salt Lake away from city lights, the Park is an easily accessible location for experiencing dark skies and starry nights. 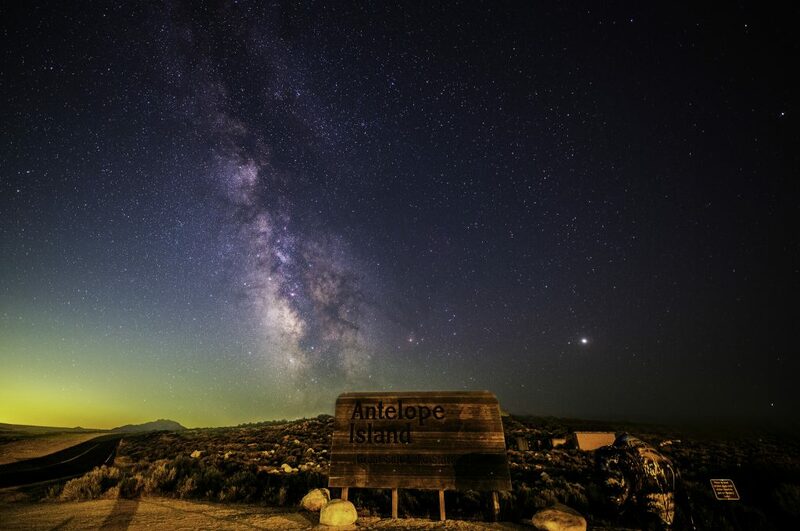 Just one hour north of Salt Lake City, Antelope Island is a great location for star gazing and night sky photography. It is important to note that dark skies does not equal dark ground. With a few simple changes, we can have both dark skies and safe, effectively lit cities and neighborhoods. Light only where you need it. Light only when you need it. Shield lights and direct them downward. Use the minimum amount of light necessary. Select warmer white light bulbs. 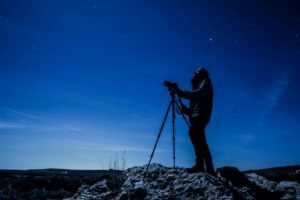 Dark Sky Photograpy – A growing number of photographers are discovering night sky photography at Antelope Island State Park. Star Parties – During summer months, the Park partners with the Ogden Astronomical Society to offer public star parties. Astronomy Programs – Throughout the year, park staff offers public astronomy programs incorporating indoor discussions and outdoor night sky observations. Look for programs under the Events tab. Star-gazing – Bring your family and spend the evening gazing up at the night sky. Although park hours vary from season to season, you can experience our dark skies in a few ways. Camping is available year-round and is a great way to enjoy and explore the night sky. If you plan on camping over a weekend, reservations are strongly recommended. Check our camping page for more information. If camping isn’t your thing, or you just want to spend a few hours after dark, plan on being here before the entrance gates close for the evening (hours are listed on the side bar). We recommend White Rock Bay as a great location for star gazing. For night sky photography, views are great from the visitor center, Buffalo Point or Ladyfinger Point. When you are ready to leave, the exit gate will open automatically as you approach. Fees can be paid using credit card, cash or check. However, if the entrance booth is not staffed when you arrive, there is a self-pay station, which would require payment by cash or check.